After five years of strong house price growth, the U.S. housing market is now gradually cooling. The S&P/Case-Shiller seasonally-adjusted national home price index rose by 3.16% during the year to Q3 2018 (inflation-adjusted) – the lowest growth in four years. House prices increased 0.53% during the latest quarter. The Federal Housing Finance Agency's seasonally-adjusted purchase-only U.S. house price index also increased 3.61% y-o-y in Q3 2018 (inflation-adjusted), down from annual rises of 3.97% in Q2 2018, 5.01% in Q1 2018, 4.63% in Q4 2017 and 4.64% in Q3 2017. The FHFA index rose by 0.93% q-o-q during the latest quarter. Analysis: Demand and construction activity are now falling. In October 2018, sales of new single-family houses fell by 12% from a year earlier while existing home sales were down by 5.1%. Building permits authorized for new housing units dropped 6% in October 2018 from the previous year. Likewise, new housing starts fell by 2.9% y-o-y in October 2018, while completions were down 6.5%. In November 2018, US homebuilder sentiment plunged to its lowest level since August 2016, amidst rising mortgage rates. 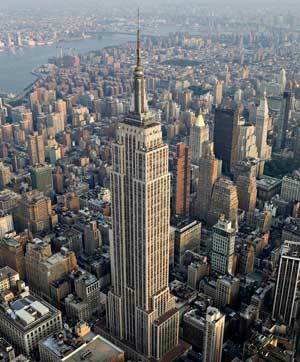 New York apartment costs are very high, at around $17,191 per sq. m.
Recent news: The world’s biggest economy grew by 3.5% y-o-y in Q3 2018, from annual growth of 4.1% in Q2 2018 and 2.2% in Q1 2018. Consumer spending, which accounts for more than two-thirds of economic activity, rose by 4% in Q3 2018 – the strongest pace since Q4 2014. Earlier, the IMF raised its 2018 growth forecast for the world’s largest economy from 2.3% to 2.7% and finally to 2.9%, an acceleration from the expansions of 2.2% in 2017 and 1.6% in 2016. This was after President Donald Trump signed a landmark tax law (known as the Tax Cuts and Jobs Act or TCJA) considered to be the largest overhaul of the U.S. tax code in over 30 years.